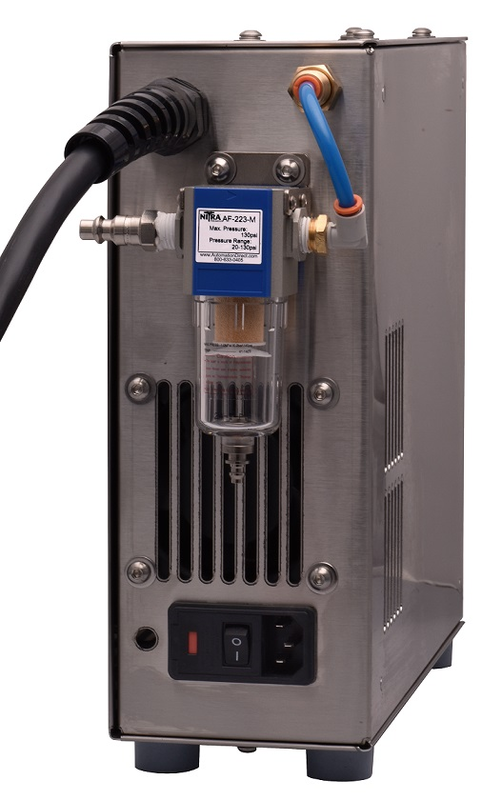 Hand-held ultrasonic welding and cutting units allow for exceptional control and accuracy. 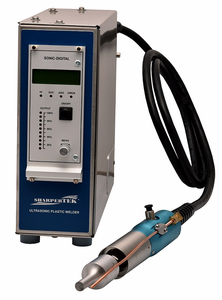 These ultrasonic plastic welders are ideal for cutting and bonding delicate plastic components, lightweight synthetics, woven and nonwovens and plastic films. High-frequency design (35 kHz) prevents component from cracking or breakage that can occur with lower frequency units. Eliminates the need for plastic adhesives, mechanical fasteners, and heat soldering. Reduces labor costs associated with extra trimming steps. 2. Either hand control or foot control can be easily converted with a pedal switch. 3. Applicable Scope: riveting, spot-welding, and ultrasonic cutting. 4) It is suitable for 1 - 15mm welding stitches. 5) Horn shapes could be round, square or other shapes. 16) Foot pedal - optional.